I guess it’s time to come clean. I’m not the ‘cool’ mom or the ‘cool’ empty-nester or the ‘cool’ anything. I’m a geek. And not the ‘cool’ geek like the geniuses on “The Big Bang Theory” but the geek that watches ‘TBBT’ and wishes she understood the formulas displayed on the dry erase boards. Recently, I suspected my ‘geekiness’ because the lady selling eyewear told me the ‘nerdy’ glasses I wanted were half price. I was buying the glasses because I thought they were fashionable. And if you’re thinking maybe the lady was behind the times – no. I still wear clothes I bought before the millennium. I couldn’t tell you what the hot colors are for the coming season. It’s me that’s out of tune. I’ve learned through the dictionary that you don’t have to be a computer whiz to be a geek. I wouldn’t fit into that category. I’m typing this post for the second time because I lost everything when I tried to download a picture. That’s the kind of computer loser that I am. I’m also not a carnival geek. The definition from Merriam Webster mentioned biting the heads off of live chickens and snakes. Does that really still go on or does Merriam Webster need to do a serious update on their website? I really do wish I was the genius geek. Then at least I’d have some credibility. I’m just the odd duck that gets home from parties, wishes she hadn’t gone and worries about what she said, as opposed to, what she should have said. I’m a lot funnier when I’m scripted. At least I think I am. If I had the TARDIS, I’d travel back in time and do much better with small talk. You, too, may be a geek if you know what the TARDIS is. I like to know a bit about everything and especially if other people in my realm know about it. I constantly make notes. The only good thing about researching all these little things is that sometimes, from out of seemingly nowhere, I get an answer on Jeopardy that I shouldn’t know. Of course the only person I’m impressing is me because, now that the kids are gone, I usually watch Jeopardy alone. I want you guys to know, I can be pretty impressive, and not just because I’m old and have lived through a lot of the history questions. I guess I should have noticed my ‘geek’ signs a long time ago. They’re pretty evident, right? The whole package - brains and adorable. So,today I’m coming out of the ‘geek’ closet. I realize life is a lot easier when we are who we are. I’m tired of worrying about becoming a geek. I’m already a geek. I love the Discovery and Science channels. I pay extra to get the Science Channel. I love museums and prefer to go alone so I can take all the time I need to look. And, yes, I have a tremendous crush on the ‘deceased’ Albert Einstein. I have his picture in my office. It makes me smile every time I look at it. I find solace in the fact that he was a geek, too. I think that’s why I’ve always loved him. Geeks are in these days, didn’t you know? And anyway, nerd glasses are super-hot. I do love my glasses. It’s nice to be ‘in’ every twenty years are so. Thanks for reading. I am a confessed Geek who only occasionally hides in the closet. Thank goodness I can’t do anything to embarrass my kids, who are borderline geeks themselves. Sometimes we sit around analyzing the difference between geeks and nerds. So glad to have discovered you! Your post made me smile. Thanks for reading. Since I wrote the post, everyday something else validates that I’m a geek. You’re not a geek. You are THE geek. Fly that flag! You are too kind. I will, from now on, embrace my inner geek. Oh, I think WordPress must have had some issues last week – I lost a completely finished post when adding a picture in – and I’ve read multiple other blogs wailing about problems, too…if that makes you feel any better. That makes me feel much better. Thanks! I’m a tech geek, a book geek, and an early music geek, terrible at algebra and geometry, but a whizz at Raven’s matrices. Is that early music like the Beatles or like Beethoven? I loved algebra but hated geometry. And as for Raven’s matrices, I don’t think I’ve done them since my last standardized test. Now I have to go do a couple and see if my brain can still handle patterns. No, much earlier than that. Pre-1630 music. I belong to an early music chamber choir (our next concert is music from the court of King Henry VIII). I also like singing art songs by early twentieth century English composers. I’m a book geek and I wish I was a tech geek. It takes me forever to accomplish anything involving technology. 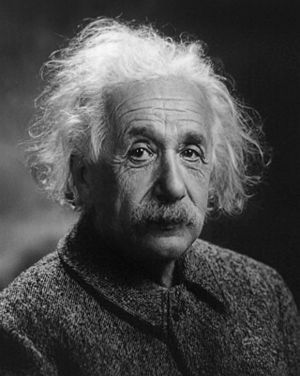 I guess I am a geek too, because I found a photo of Albert Einstein at the NY Times online store, and I am so taken with it, I am buying it for myself the next time I need a treat! Thanks for sharing. What a great picture. I’ve never seen it before. I want it too. I think he has the greatest eyes. They are filled with wisdom and mischief at the same time. Good point. I think I didn’t want my geekiness to reflect on the kids but, let’s face it, you just can’t hide it – even if you think you can. With the kids off, I’m happy to be me. It just took me a while to figure that out. Thanks for the comment. If you are happy, then that’s all that counts. If God had wanted you to live up to somebody elses expectations, I suspect he would have made you them. 🙂 There’s a little something to ponder. Let’s line up at the door….out of date, out of fashion, no small talk ability, rather read than anything else, lost interest in music after the 60’s, no clue what people are talking about……anyone lining up with me? I’m definitely in that line. I started to talk about how I never go anywhere without a book but I was getting too wordy. Next, I guess I better get started on our Saturday assignment! Well, now there are at least two of us in the Geek Blogger world! Loved this post; it made me laugh out loud! I’m still embracing the 70s on some levels. My skirts and my jean zippers are longer but other than that, I dress about the same.